This dipole was a last minute idea. I am taking a multi-band EFHW and 10/20/15/12/10m switched dipole away to Japan, although the switched dipole takes up a lot of space. A smaller dedicated 15/20m dipole would be a good idea. In the junk box I had some T50-6 cores. The only high voltage capacitors I could find were 100pF ATC SMD parts. To make a 15m trap, 11 turns are needed according to the formula on toroids.info. 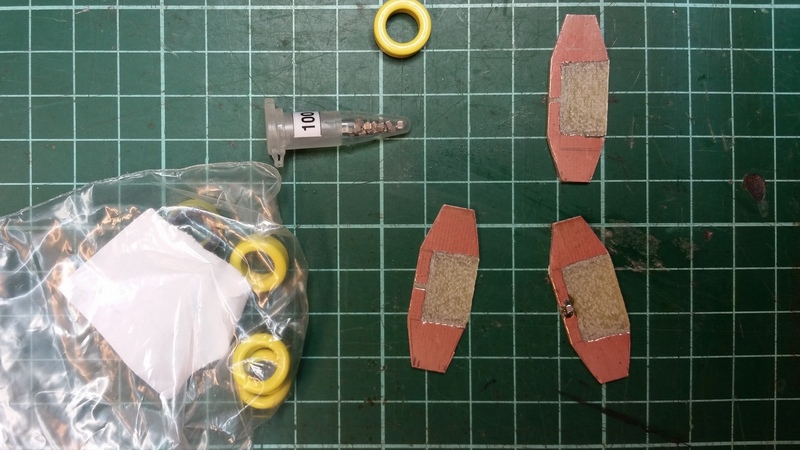 The toroids were mounted on some single sided PCB. 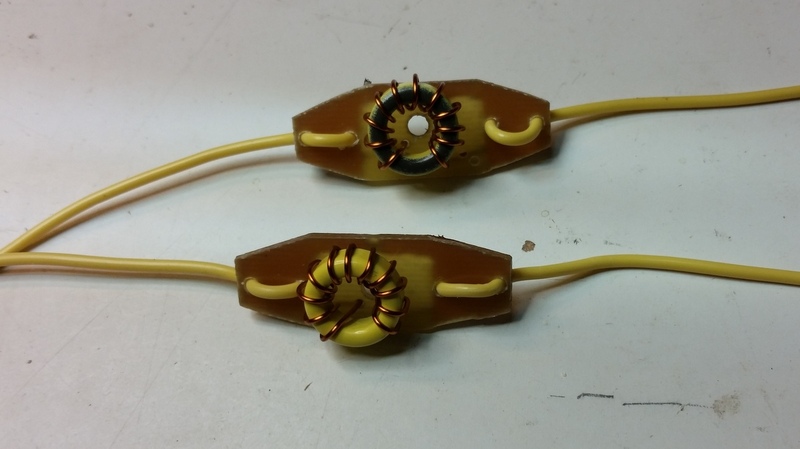 Two holes at each end of the PCB strain relief the wire connection to the traps. As time was short, the PCB foil was dremel’d away to suit the connections. 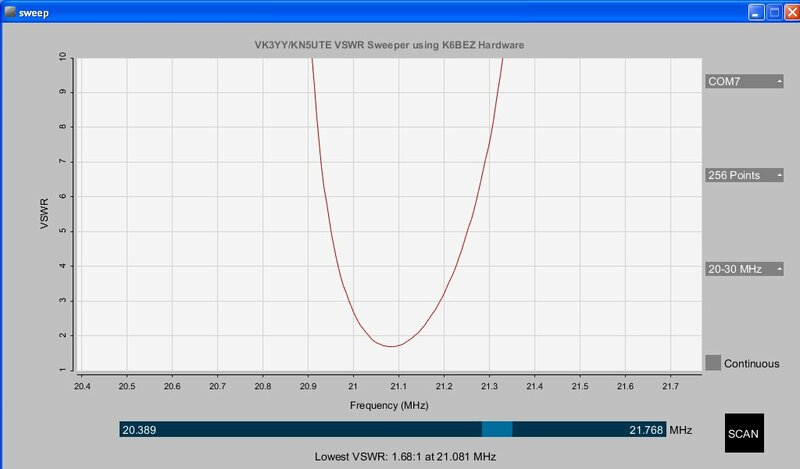 The traps were tested using a coupling loop to the homebrew antenna sweeper and with a little squeezing, they tuned to 21.1 MHz, a sort of compromise. The toroids were then soldered properly on the PCB. For a starting point, a 3.4 metre length was used for the inner wire and a 1.7 metre length used for the outer wire (away from the feed end). The lengths were based on about 5% less than half wave. The lengths needed a bit of trimming, first resonating the inner length for 15m and then trimming the outer length for 20m. 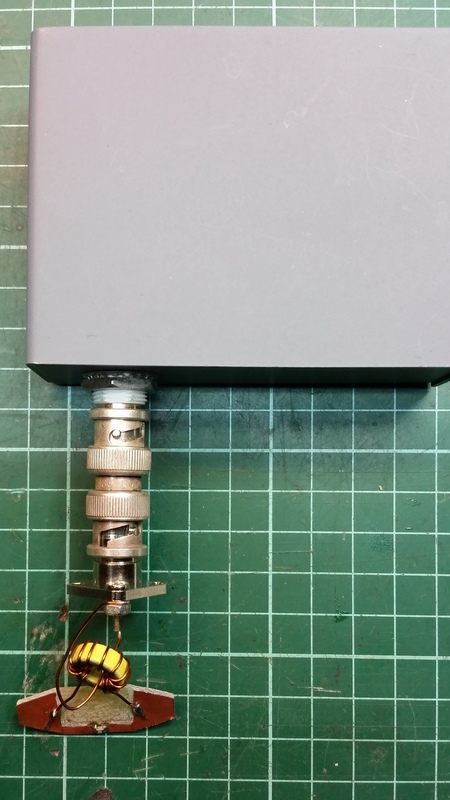 The homebrew antenna sweeper was used for tuning the antenna. 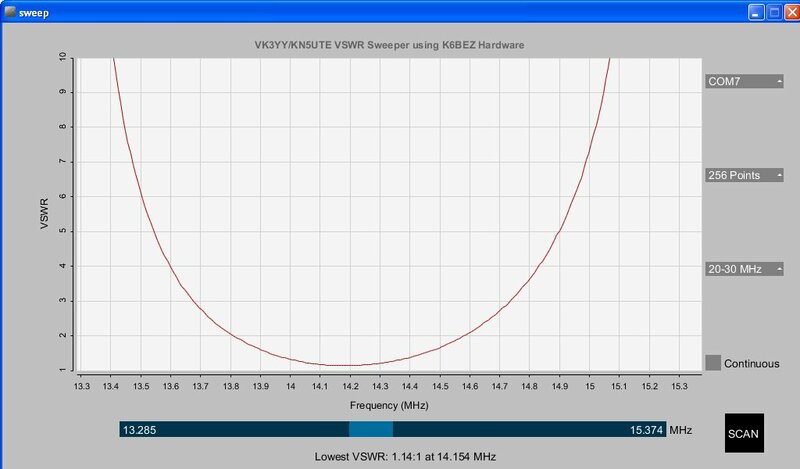 The 15 metre bandwidth is quite narrow, below 2:1 between 21 and 21.25 MHz. About 1.5:1 mid way. This is a bit narrower than I wanted. The 20 metre bandwidth is fine with a good match between 14 and 14.3 MHz. Hi Andrew, it would work but PCB would be lossier than a capacitor. I think that FR4 PCB is about 15pf per square inch. Sorry about the slow reply, in Japan at the moment.